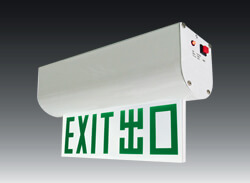 Fire exit signs (出口/出路燈箱),Kitemark emergency lighting support super bright light source with low power consumption. Our products comply with most international standards, including F.S.D. PPA/104(A) (4th Revision). 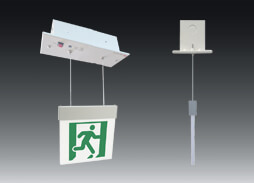 Nowadays, simply containing emergency lighting and fire exit signs is no longer enough Whatever be the size of your office, safety should always be your foremost concern. 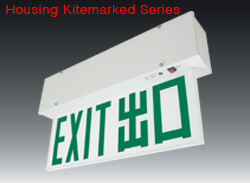 Probably the electrical wiring of the building adheres to all legal and safety norms for preventing mishaps, but there’s one thing which can save many during accidents or emergencies – Kitemark emergency lighting. 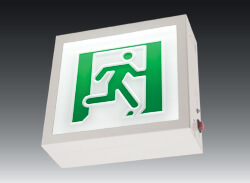 Exit signs enable employees and everyone else in the office to escape safely in case of an emergency. 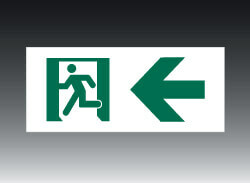 Proper signage will guide them to reach the nearest exit door, which may otherwise be difficult to find in a chaotic situation. Again, only the sign cannot help as in case of a power outage, it would be next to impossible for the crowd to escape a building following signage. 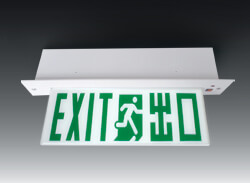 The best solution is to install an exit sign fitted with emergency lighting. 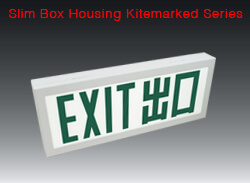 Most of such sign boxes today are manufactured along with LED lighting for a number of perks. 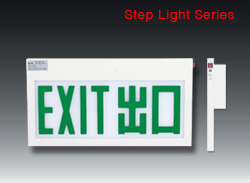 LED or Light Emitting Diode technology in emergency exit signs is a breakthrough innovation. 1.LED is highly an energy efficient technology which can subsequently bring down costs on electricity bills. 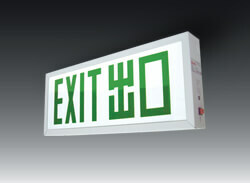 2.LED exit boxes are manufactured in different designs which look quite efficient and elegant wherever mounted. 3.Although LED lights don’t have filaments, they are not much different in terms of power than incandescent bulb. 4.These lights can also function efficiently in cooler temperatures. So, these were a few benefits of using LED lighting technology. 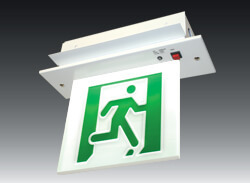 However, what is more important for you to know is – why install these fire exit signs fitted with emergency lighting. In case of fire in a building, the first thing that goes out is power. 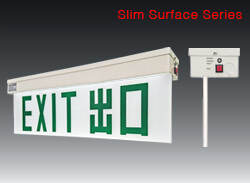 It is during this situation that those exit boards with lighting will stay illuminated. The reason being they are manufactured with substantial battery backups especially for operating during emergency. During any kind of emergency, say fire, occupants of that building start panicking for being stuck, creating further accidents within the complex. 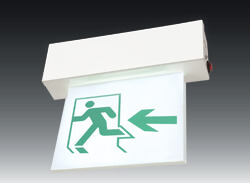 In that condition, if a well-lit emergency exit sign can guide them to the staircase or hallway, it would calm nerves of the people and help them evacuate that building safely. Another major problem during a fire is smoke. 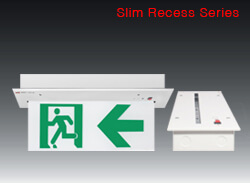 When exit passages or narrow alleys are filled with smoke, it becomes difficult to find a way or even read non-luminous exit boxes. 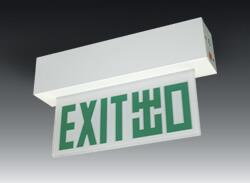 This is when LED exit boxes emerge to be a saving grace. As these boxes have a vinyl cover, their luminous nature paves a safe escape route for occupants of the concerned expanses. 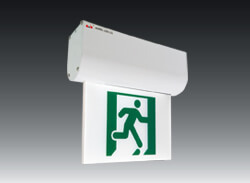 As a suggestion, you can opt for Kitemark Emergency lighting which fulfills all the above purposes efficiently. 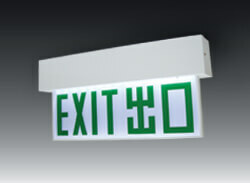 Hence, now, you have a fair idea why LED fire exit signs are better than their non-luminous counterparts. So, find a reputed manufacturer and invest in advanced safety measures today. 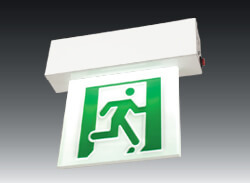 You can purchase genuine LED emergency exit signs for your corporate office or business. They are available in wide ranges. For the security of employees working in an organization, it is very important to provide perfect routes to exit the buildings in case of some unfortunate event. 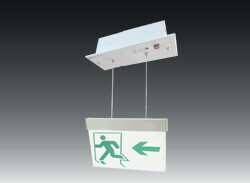 Due to this point into consideration, most of the organizations are acquiring the facility of emergency exit signs. 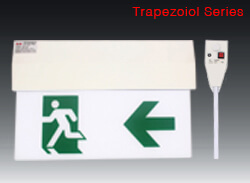 These signs provide great help to the employees to exit the building in an efficient manner. 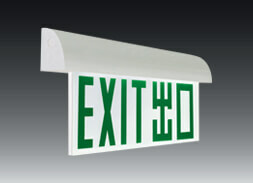 One can shop for a wide range of signs which are made up of different materials. 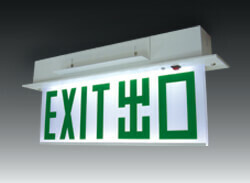 You can purchase genuine LED emergency exit signs for your corporate office. 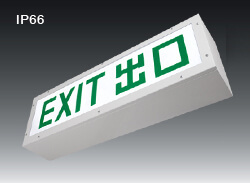 Since the signs are made up of fluorescent, thus they do not use much of energy and cause negligible heat emission. The signs also provide emergency backup support which is considered as the most essential feature in case of a power shortage. One can also check the performance of the product with the help of maintenance check button. 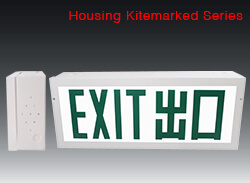 Nowadays, pictographic emergency exit signs are also in demand as they are easy to install and are easily understood by the people of every ethnicity. The boxes can be charged quickly and they can be used for a great deal of time period. Furthermore, it is also very easy to change the batteries of the box. 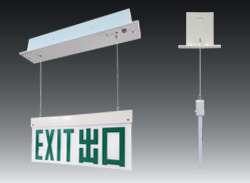 Weatherproof emergency exit signs are high in demand as they are robust and can withstand moisture and hard climatic conditions. 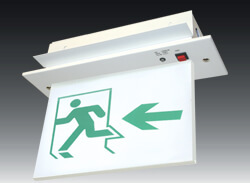 The sign also has a casing of stainless steel which makes it sturdier and also provides a flash property during the time of an unfortunate event. 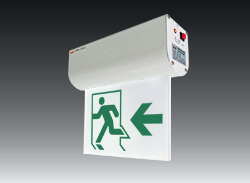 Surface mounted emergency exit signs provide similar lumen output while they are operated in a normal or in an emergency lighting. 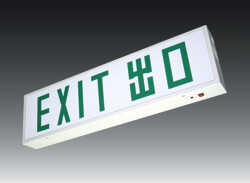 The sign has an emergency backup for about 4 long hours and it can easily withstand high temperature and it is also shockproof. 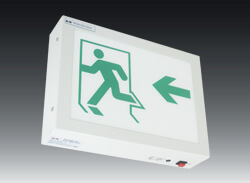 The signs are needed to be perfectly illuminated and should be placed at a place which is clearly visible as it will help more and more people to evacuate the place within a short time period. 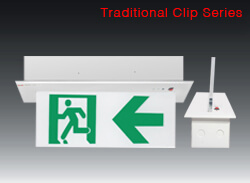 Signs should also have compliance with UL 942; perfect compliance with the predefined codes will help you to get genuine service of the equipment at the time of dire need. Furthermore, the signs should also have to have at least one hour of back up as it will protect the interest of the workers or employees during an unfortunate event. 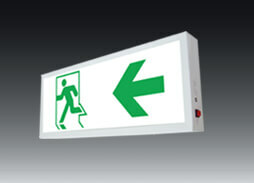 The signs should also have high illumination as it will help people to know the way out even in the smoke during an electric fire outbreak. One should install a sign inside the building which has perfect length and breadth according to the size of the place where it is needed to be placed. Why should one use these signs? 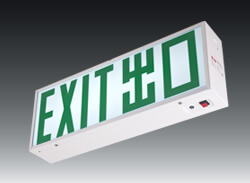 Signs for exit are considered mandatory in an organization as they are mandatory by the law. Companies that do not provide genuine signs are liable for hefty fines. When a company takes proper safety measures for their employees then automatically they gain the confidence of the employee. A confident employee will work in favor of the company and will help it to achieve its overall goals at a fast pace. 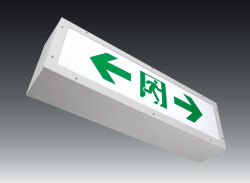 During an unfortunate event, the signs will also help your employees to move out of the building quickly which will help in curbing a number of causalities. Companies usually have to face dire consequences if employee causality happens inside the premises due to the carelessness of the administrative authorities.